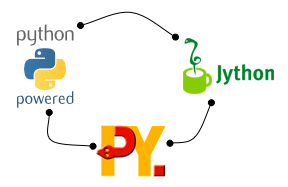 Python is a mature dynamic language whose interpreters can interact with all major computing platforms today. automatic bootstrapping: no manual remote installation. safe and simple serialization of python builtin types for sending/receiving structured data messages. (New in 1.1) execnet offers a new dumps/loads API which allows cross-interpreter compatible serialization of Python builtin types. well tested interactions between CPython 2.5-2.7, CPython-3.3, Jython 2.5.1 and PyPy interpreters. fully interoperable between Windows and Unix-ish systems. py.test uses it for its distributed testing mechanism. quora uses it for connecting CPython and PyPy. Jacob Perkins uses it for his Distributed NTLK with execnet project to launch computation processes through ssh. He also compares disco and execnet in a subsequent post. Ronny Pfannschmidt uses it for his anyvc VCS-abstraction project to bridge the Python2/Python3 version gap. The current 1.0 series aims at basic API stabilization, improved tracing and robust termination. The 1.1 series will target setting up permanent networks and offering unix-shell-like capabilities to spawn processes and applications. execnet was conceived and is actively developed by Holger Krekel. The package is licensed under the MIT license since version 1.2. © Copyright 2012, holger krekel and others. Created using Sphinx 1.6.5.